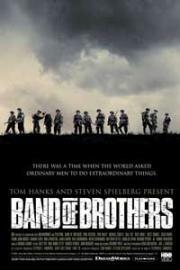 Good and elaborate war drama. Basically a documentary without all the useless talking heads and more investment. Exceptional cast wrapped around interesting and exciting stories. One of the best mini-series made. Watch this. The two major problems with it are 1. its sentimentality and 2. American self-glorification. If you can get over that, there's no denying that this is a great series.